Despite the February chill Jenny & Dan had a lovely sunny wedding day in Sheffield. Jenny and her bridesmaids were excitedly getting ready at Whirlowbrook Hall with the church just up the road. The ceremony was amazing with lots of uplifting hymns. The guests headed back to Whirlowbrook Hall for drinks and photos. After a tasty meal we had time for a few more photos with the happy couple before the dancing started. There is nothing better than a good ceilidh to get everyone dancing! Helen & Paul are Cumbrian wedding photographers specialising in wedding photography in the Lake District. 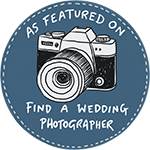 They also are photograph weddings in Sheffield too.